On an Expanded New Level at the Heart of AN! January has been a very full month. 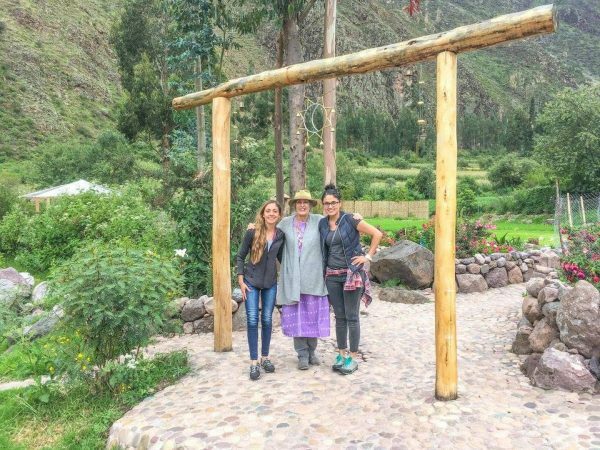 A day after Emanaku’s family departed from their precious, super fun visit, Cecilia from Arequipa arrived to stay for four nights at AN•Wasi. We also had a whirlwind, but high spirited, visit with Roxana and Alecia of Mexico which we greatly enjoyed. 2018 feels completely different from the past four years. It definitely feels like a NEW ERA has begun. Our past four years of tremendous effort and constant financial challenges feels like it is over. It’s not that we suddenly have more time and money; we don’t, but everything feels so expanded and clear. The Heart of AN feels activated, open and ready! Already during January, there have been numerous auspicious signs here. We even found a four leaf clover by the AN•Chakana! 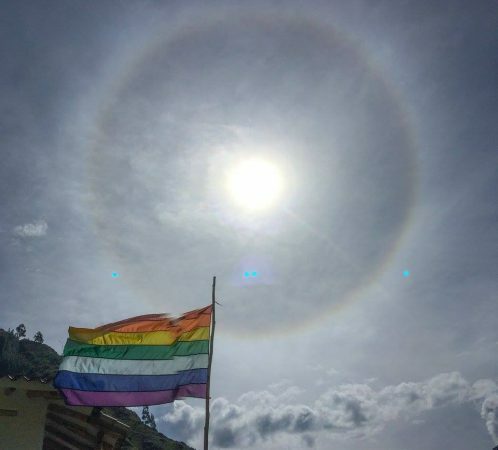 And at the end of the month, there were five consecutive nights of Moonbows, with a huge, glorious Sunbow on the day of the Eclipse! A massive creative surge arrived in the middle of January while in the midst of everything, that propelled me into starting a new book containing stories of my life. Whenever I have time to sit at my computer, the stories are just effortlessly pouring out. The book is already 140 pages long, with most of it still in note form, so there’s still a lot to do and it will probably be a very long book. 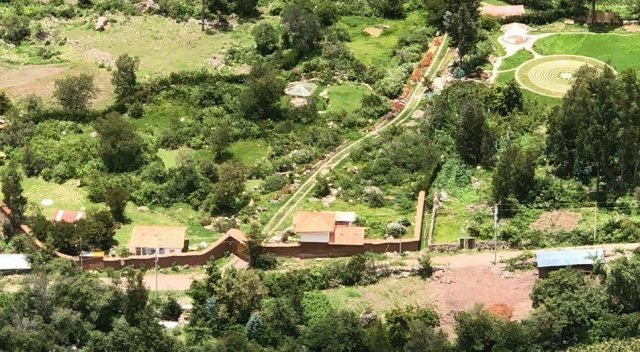 We have some projects we would like to do this year at the Heart of AN, like creating our organic vegetable and herb garden. 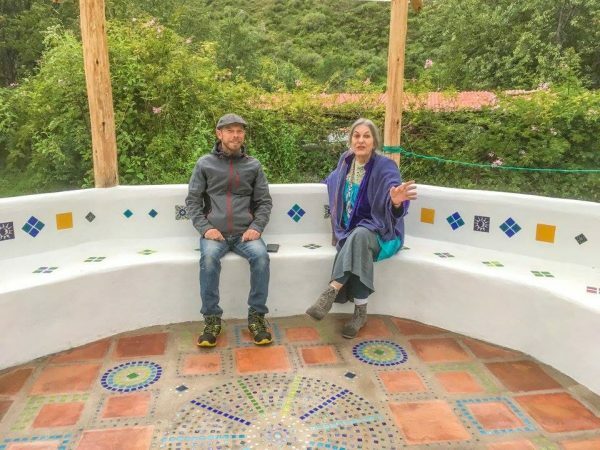 We also want to build a small, covered sitting area beside our house and possibly build new guest accommodation somewhere on the land. But I really feel that all this will be achieved quite easily and naturally. We are finally reprinting the Cards of AN this month. 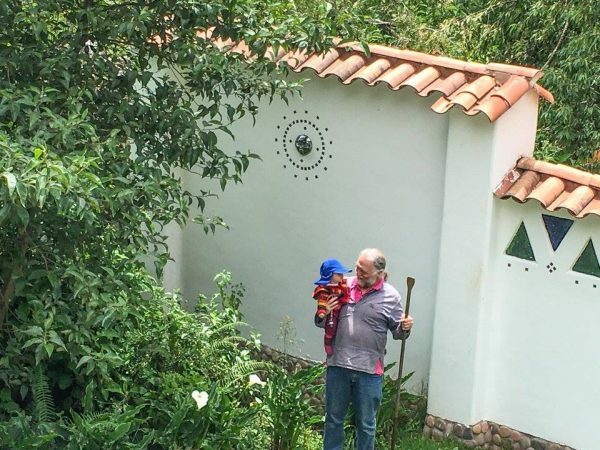 And on Monday, we are hoping that Roberto shows up to build our Alpaca Shelter which should take about a week to do. Then….. Alpacas of AN!!! Some really brilliant and true people are registering for our May Special Events. We have only four more spaces available in the Cards of AN Master Class from May 17 – 21. And we are full of brilliant ideas for our Immersion into the New Reality of AN from May 23 -28. It will be so deep and amazing. Please consider joining us for this rare opportunity to delve deeper into the AN energy. 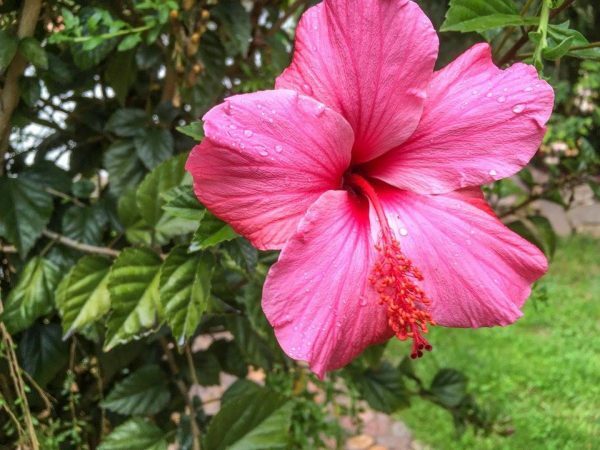 We actually have hibiscus growing at the Heart of AN. This flower has just been kissed by the rain. Emanaku took sweet Antonia on a tour of the Heart of AN. They are absolutely adorable together! 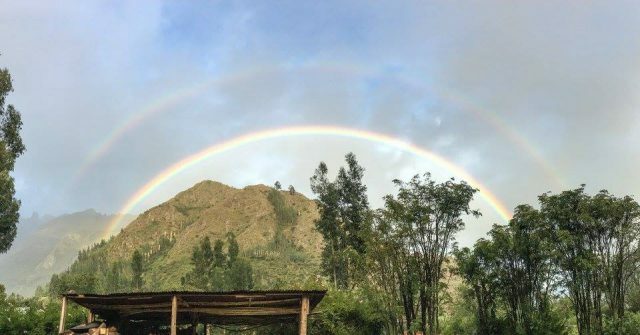 The next day we saw a rainbow in the nearby town of Urubamba. 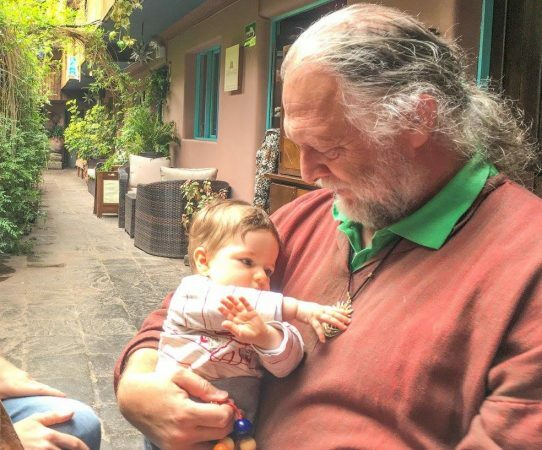 Emanaku’s Grandaughter Antonia really loves his AN disc and always tried to touch it. 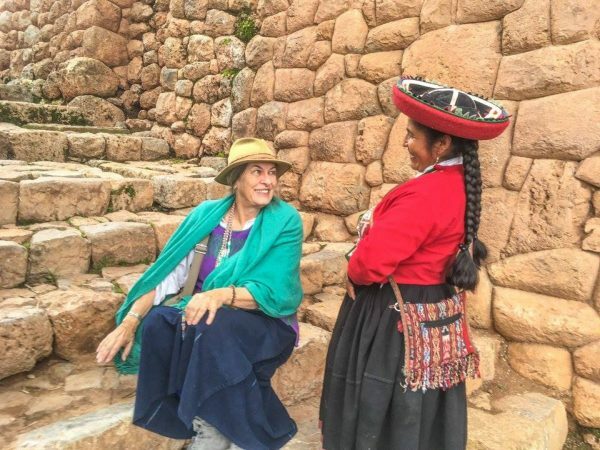 We really love the people of Chinchero! 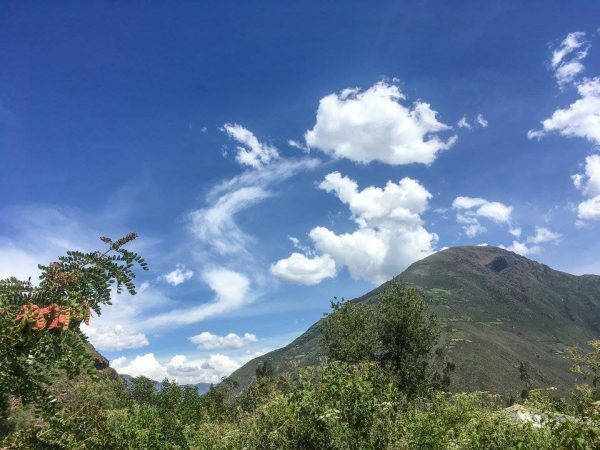 A cloud dragon appears in the sky above the Heart of AN! 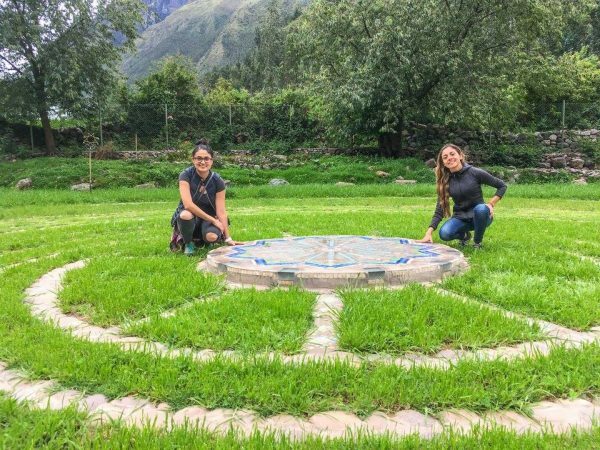 After Emanaku’s family left, Cecilia from Arequipa, Peru came to stay in AN•Wasi for four nights. 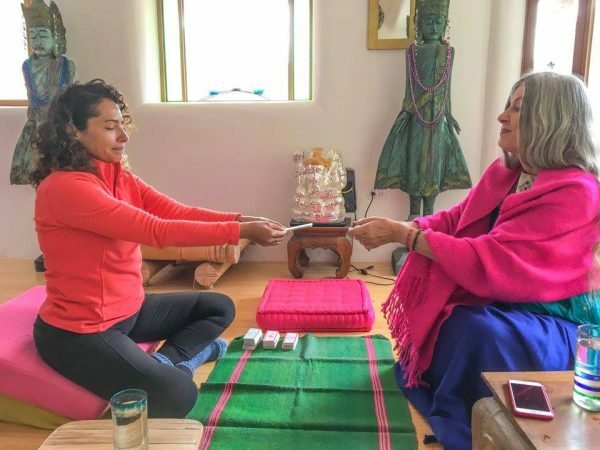 And of course, she had a brilliant reading with the Cards of AN! 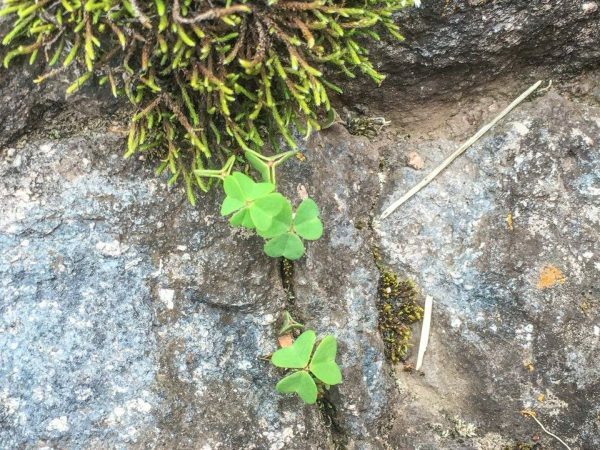 A few days ago while exploring the land, Cecilia and I found a four leaf clover growing on one of the rocks by the AN•Chakana. It’s on the upper left. We thanked it and left it to grow with its family. 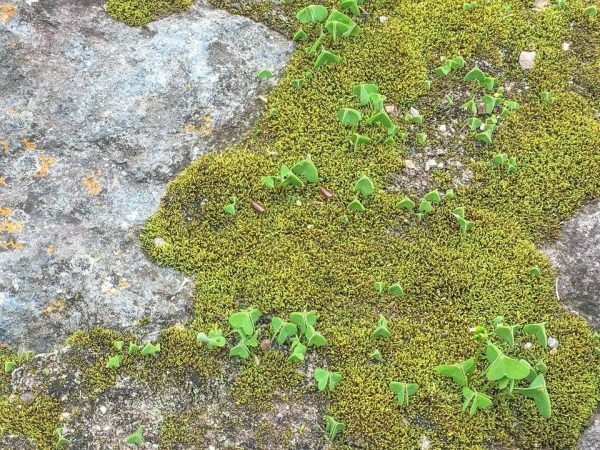 I love the miniature fairy kingdoms which grow on some of the huge rock beings. Our neighbor Daniel came over for a cup of tea and really loved the energies in the Octagon. 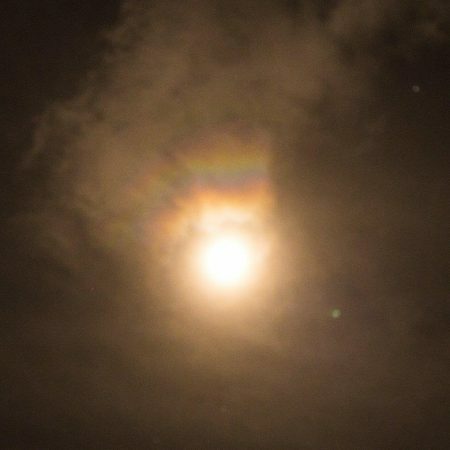 There have been majestic Moonbows above the Heart of AN for the past five nights. 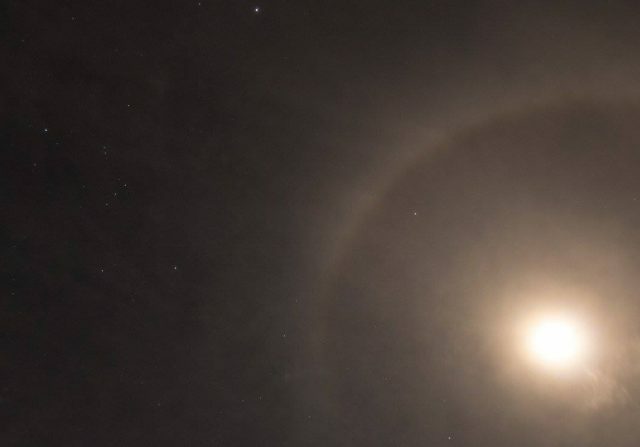 This first Moonbow had rainbow flares inside it! 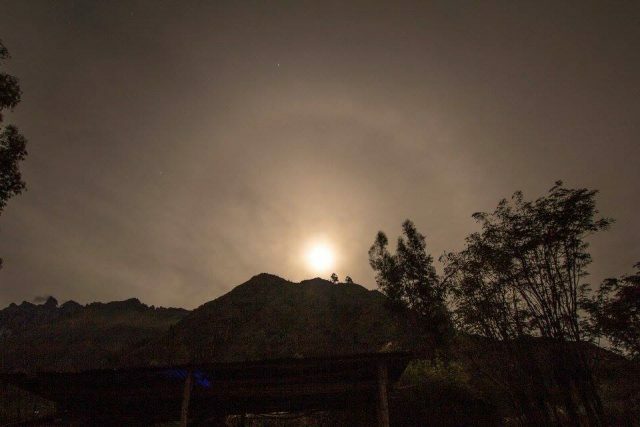 On January 30, Cecilia climbed the mountain above Casita Huaran and took this incredible photo of the Heart of AN. 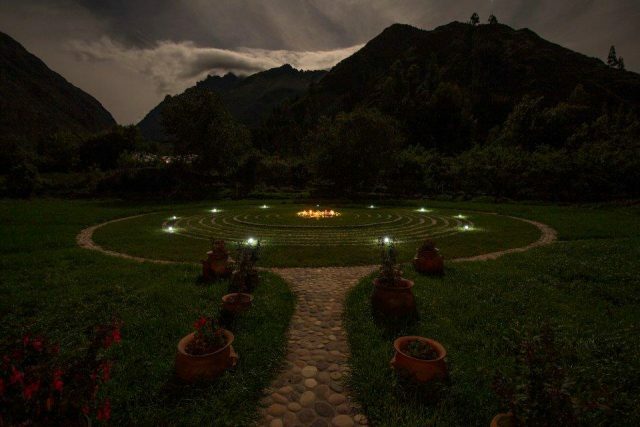 The AN•Labyrinth is on the far left, the AN•Chakana is in the middle and the Tower of Light of AN is on the upper right. On January 30, Roxana and Alecia visited us from Mexico! They loved the Heart of AN and we loved meeting them! 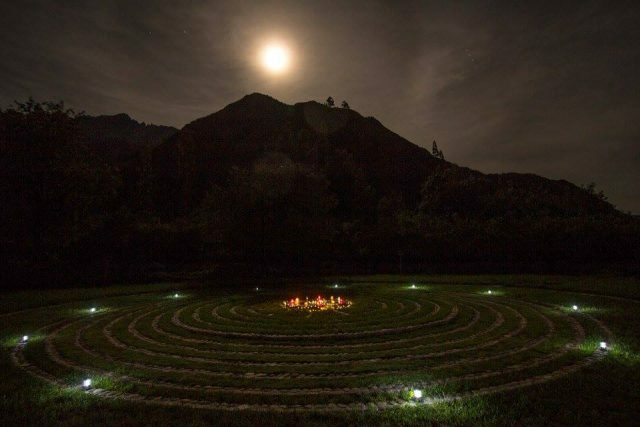 It was a huge challenge to buy this new piece of land last year, and then transform it from a cornfield into the Tower of Light of AN, but well worth it. The energy around the Tower of Light of AN always feels so clear, loving and unquestionably strong. Deepest Gratitude to all those who helped us make this possible! The Moonrise on the night of January 30. The Eclipse was at 8:30 the next morning here, so this was the night with the strongest energy. View of the Moonrise from the Tower of AN. 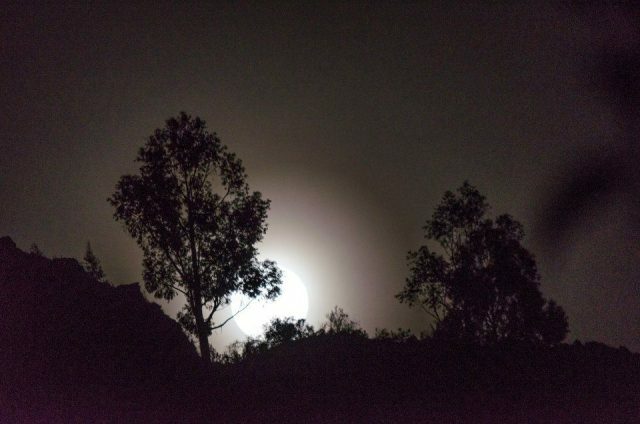 And again, there was another Moonbow! 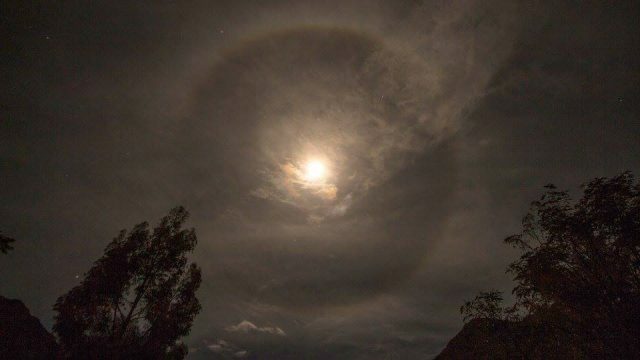 Mystical clouds passed through the Moonbow. 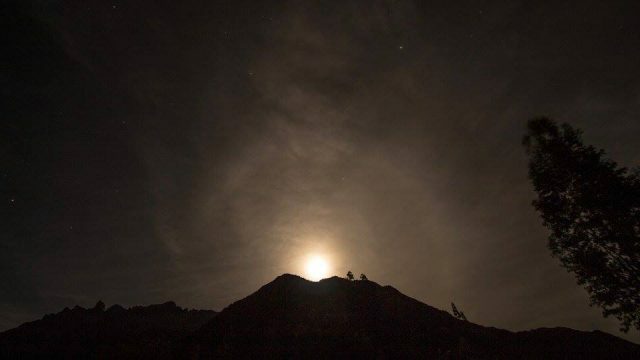 If you look closely, you will see Orion on the left of the Moonbow. It felt perfect to have Orion join us on this mystical night! Emanaku, Cecilia and I went to the Tower of AN and sat as Silent Watchers of the Heart of AN. This was the first time that we have put lights around the Tower. We really love being here at night. 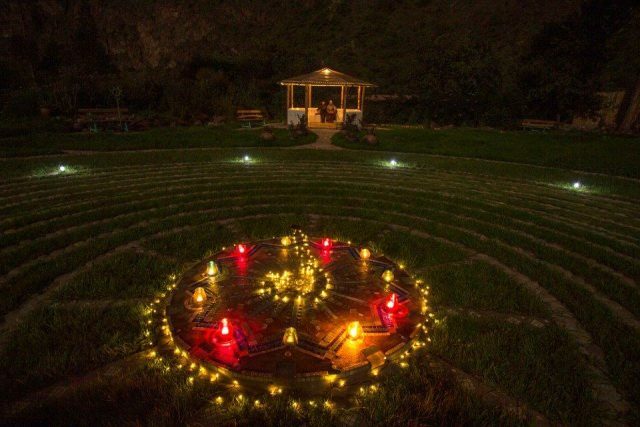 And I received lots of inspiration for night ceremonies during our Immersion into the New Reality of AN in May! 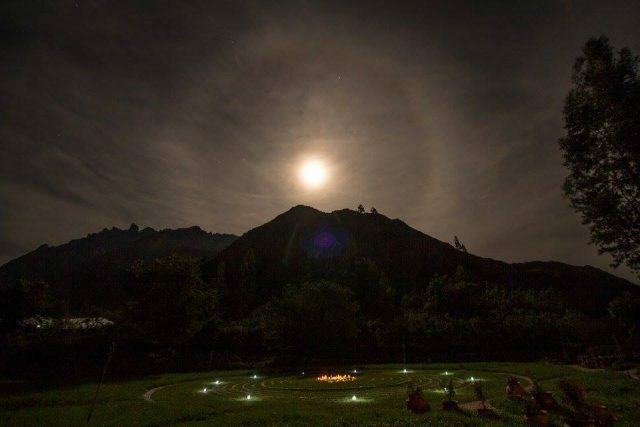 The energies of AN are beyond words, especially with the Full Moon ~ Moonbow. The Octagon is so completely aligned with the Tower of AN. When you sit in the Octagon, you also feel like you are inside the Tower of AN. 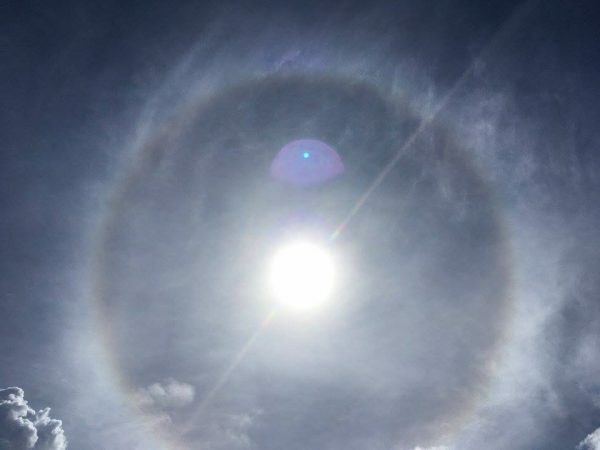 On the last day of January, a huge Sunbow appeared in the sky above the Heart of AN. 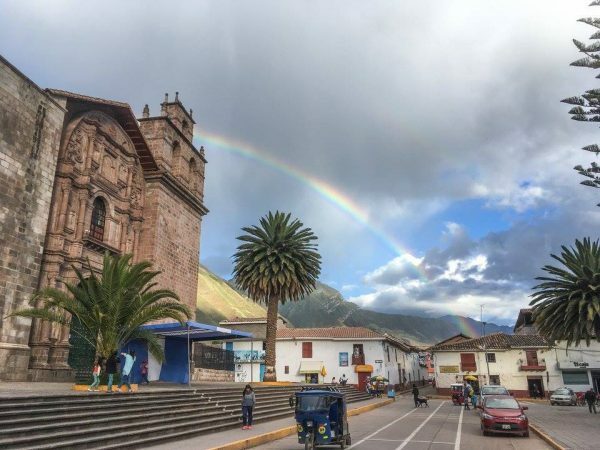 It was so magnificent, especially with the Inca flag flying in the breeze. By that point we were in total awe! It definitely feels as if everything here has moved to a vastly expanded, new, Super True Level and a NEW ERA has begun! 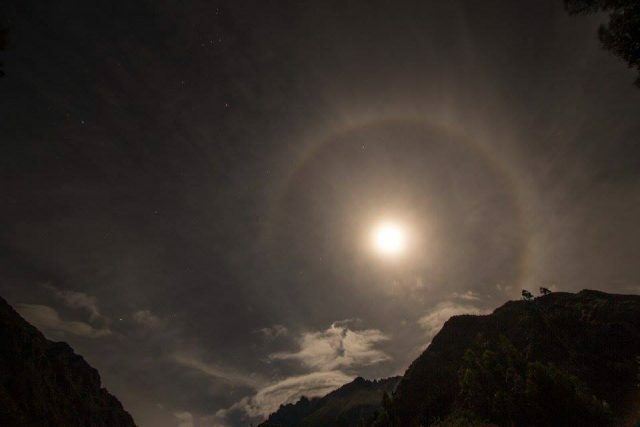 Here’s our fifth Moonbow in a row which appeared on the night of January 31.